Our loyal Atlanta-based customers might have heard it already, but at the Gold ATM, we are offering top-notch, low-interest pawn loans for all designer handbags. All of you who are looking to pawn your luxury bag in Atlanta should visit us at our 400 Galleria location. We welcome all walk-ins. The Gold ATM has been the highest-reviewed authority when it comes to buying gold, diamonds, luxury watches, and designer handbags for years. We have over 300 5-star reviews on Google that speak of our reputation. Therefore, we don’t have to. Visit us and see for yourself just how great our offers are. We are now offering low-interest pawn loans on all Prada products, including all Prada handbags. Prada is one of the most luxurious brands on the market, so take the opportunity to make some money off of that fact. Pawning your designer handbag is a great way to make some extra money quickly. However, not all pawn shops are the same. What’s more, not one of the run-of-the-mill pawn shops in Atlanta can offer the security and reliability as The Gold ATM can. The Gold ATM pawn loans have interest rates that start as low as 5%. Now that’s a deal you won’t find anywhere else in Atlanta. Furthermore, our pawn loans are quick and easy to secure. What we value more than anything else is client satisfaction. Therefore, we will authenticate the bag right in front of you, and make you an offer quickly. We do not need any documentation to help with authentication. However, if you do have a receipt or a proof of purchase, bring it along — it will speed up the process even more. All our clients can be at ease, as we do not pressure them to pawn or sell their items. The Gold ATM has a secure high-rise office setting which is a safe space for everyone. We pride ourselves in leaving all decision making to our clients. There is absolutely no pressure to pawn or sell anything at The Gold ATM. Although we welcome all walk-ins at our 400 Gardenia location, if you want to visit us at one of our other locations, please call and schedule an appointment. We offer low-interest pawn loans for all designer handbags — — Gucci, Prada, Louis Vuitton, Chanel, Valentino, Hermes, Fendi, Marc Jacobs, and more. Therefore, make sure to bring along anything you wish to temporarily part with. However, we are also open to buying your bags, if you want to part with them completely. For more information on our low-interest pawn loans and other services we provide, please visit our website. 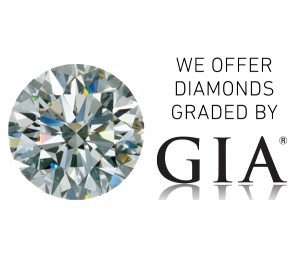 You can also visit our Jewelry Loans page for a detailed breakdown of how the process works.